Islam is extremely strict in its prohibition of interest (Riba.) 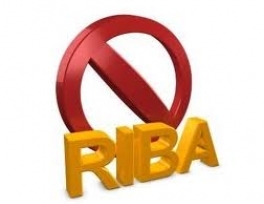 Riba is an unfair, unearned, and undeserved income which is usually used to denote business transactions like money lending or credit. Muslims argue that Riba is at the heart of most of the ills of the modern economic system. Islamic economics proposes that instead of interest, a more fair approach would involve profit sharing; that is, in which both parties gain a proportional income depending on the investment or business in question. One of the main points in favor of the prohibition on interest is that economic activities become focused on actual entrepreneurship, trade, and production, rather than in artificial manipulations of interest rates. This has been one of the main problems of modern capitalism, resulting in several bubbles that have contributed to several market crashes. These impact society negatively both directly and indirectly. While modern economic thinking considers that interest helps increase savings, Muslims argue that savings are related to income rather than to interest. Typically, interest is only a secondary consideration when generating savings. An interest-free system also would allow a better allocation of resources to projects that have a direct impact on society, rather than on projects that are only attractive because of their particular interest rate. A system based on profit sharing would also place emphasis on the particular investments and business ventures rather than on a particular individual's credit rating. Muslim economists also see interest as a destabilizing force on the market. This is because interest inherently lends itself to speculation. To institutions and individuals dedicated solely to speculating and manipulating the market to earn money that is not associated to a project with real-world impact and value. Practices like hoarding capital to take advantage of higher interest rates, thus blocking this capital for being used productively, makes the market unstable. These kinds of practices turn financial planning into a gamble; they disrupt the trade cycle and make the market almost impossible to predict. Muslim economists predict that a market without interest would contain less speculative practices, which would also result in lower debt. Islam does not prohibit debt, but it would be interest-free debt, managed in different financial modes that do not involve Riba in any form. Many of the market crashes and financial problems in the past decades can be attributed to manipulation of interest rates and other securities, excessive speculative practices, and a lack of investment and entrepreneurship in infrastructure and new technologies. Modern economic practices also can result in unacceptable unemployment rates and infrastructure problems. Islamic economists propose substituting interest with profit-sharing practices as a way to solve many of these problems. How Sharia-compliant is Islamic banking? Is Smoking Haram, Halal or Makrooh?